My first cinematic memory is a surreptitious, late-night, living room screening of the original 1978 film Superman: The Movie. In the decades since, I’ve come to harbour a deep affection for comic book characters and their cinematic adaptations, with the stories of the Man of Steel and those of the DC Universe in particular, always holding a special place in my heart. This is why it genuinely saddens me to think that Zack Snyder’s Batman V Superman: Dawn of Justice may indeed be the film that marks the end of my affection for comic book movies. Given how much of a paddling Snyder’s latest offering is likely to take from critics and pundits alike, this position will be shared by more than a few over the coming weeks. Let me stress to you how much of a big deal this is for me. I adore Bryan Singer’s 2006 quasi-sequel Superman Returns. I think it’s a lyrical, haunting, intelligent exploration of the Superman character that was a more adult and mature offering than anything we’d ever seen in the genre prior (or since). I love Snyder’s previous film, the retaliatory, explosion-drenched reboot of Kal-El’s origins, Man of Steel. I find so much to like, so much to explore, so much to bite into in these two films and their accompanying works that I’m always more than willing to put aside any niggling issues and fall back on my ingrained love of the character. Furthermore, I’ve been a staunch supporter of Snyder’s decision to graft Batman onto the side of the Man of Steel sequel, even as various trailers for the film have come and gone with distinctly varying levels of success. But as the lights came up following my midnight screening of BvS, I could scarcely process the dawning realisation that it was not only a decidedly poor film, but a catastrophic mismanagement of everything that fundamentally makes the DC characters engaging to me. I could fill entire columns with a forensic breakdown of this film’s many problems and missteps. From the toe-curlingly overbearing score to the maddening and disjointed editing, the questionable performances to the hazy mess of character motivations, this film presents a handful of problems in virtually every single scene. It is, fundamentally, a bad movie: distractingly flawed in every way except in the most technical of departments. That’s not all. This is a greedy, impatient, soulless movie that exists purely as a desperate bid to catch up to a corporate rival. Periphery players from the DC back catalogue are name-dropped and not-so-subtly referenced at terminal velocity. Countless nods to a broader universe are favoured over developing the story of this movie, and they’re forced down our throat with alarming regularity. Indeed, at its worst, the film plays like an extended trailer for future Justice League projects in a way so shameless that it breaks immersion. The simple fact of the matter is: DC wants to catch up. Marvel Studios has spent the better part of a decade working up a dizzying head start and now Warner Bros. wants some of that Shared Cinematic Universe bank. The cost has indeed proven too high, and DC has apparently sold its soul in the name of merciless and shameless franchise-building. All of this could be forgiven, in my eyes, if this movie did Superman right. The central premise of the film (Batman’s determination that he must take preemptive action against the potential extraterrestrial invader while Kal-El attempts to corral and subdue the violent vigilante) is a solid foundation upon which to build engaging, character-driven drama. This could have been a dynamic, clever way to slowly craft and develop the DC realm in a contrasting style to Marvel’s system, but it’s all for nought, as not only does the jam-packed ensemble barely leave time for Superman to hold up his end of the movie, the character himself (as portrayed by Henry Cavill) has lost any resemblance to the inspiring, dimensional hero that has endured for decades. Cavill mopes and pouts his way through the film, projecting a character that is hamstrung by debilitating self-doubt and uncertainty. None of his “Superman” qualities are explored in any way. Similarly, Ben Affleck’s Batman dominates a disproportionate chunk of the film, yet does very little in demonstrating how truly capable and competent Batman could be. Gal Gadot’s Wonder Woman fares better than her male counterparts, but she barely classifies as a support character, dropping in and out of the story without explanation. Ultimately, it is a grim, joyless series of pit-stops on the road to a disappointing non-event of a finale. 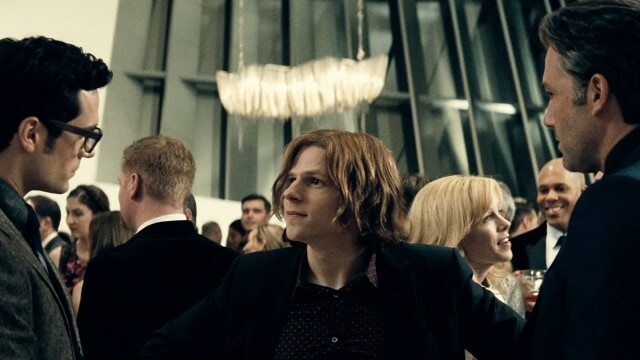 As a die-hard, life-long fan of Superman, Batman, Wonder Woman and the entire DC Universe, the biggest (and most scathing) complaint I can level at Batman V Superman: Dawn of Justice is that not once did it stir my emotions or give me any delight or excitement to see my childhood heroes united on screen. There are fundamental attributes embedded in the genetic sequence of these characters and stories that speak to their enduring popularity and timelessness. Yet none of these attributes were exploited or developed in a way that would make a fan of the property squeal with delight, let alone allow a casual viewer to become hooked. I honestly don’t know what the way forward is for DC and Warner Bros. in light of this fiasco. As always, the public will decide with their wallets. Now that they’ve essentially ruined the big guy, I’ve got very little reason to come back to these movies.